A recent leak that arose earlier today has sparked details of the next installment of the Assassin's Creed series. This brand new installment titled Assassin's Creed Victory will take place during the Victorian era, an era where poverty rates and crime was rising during the 19 century Britain. The Victorian era was one of the more popular settings gamers wanted the next game to take place and will finally be making an appearance next year. The leak, released earlier today by gaming website Kotaku gave us some interesting details about the next installment in the series that included its planned release along with a description of the game. The most interesting part about the leak that may devastate gamers would be the seizing of Assassin's Creed games on last generation consoles. Assassin's Creed Victory will not be heading out to Xbox 360 nor PS3 console owners. Many have speculated that this is only the beginning of certain franchises ending development for previous models of consoles. This would only make sense since the end of both the 360 and PS3 servers are only a couple of years away. Gamers who enjoyed having the double release from Ubisoft this year are going to be disappointed as it is most likely that there will only be one Assassin's Creed title next year. Others will find joy in this type of news in order to enhance the game and not cause ennui in the community due to the same franchise releasing multiple games in the same year. Many have questioned as to how this new installment will plan out, considering last week's incident where Ubisoft's current major installment, Assassin's Creed Unity faced many technical issues that made the game close to unplayable. Ubisoft apologized to the community by releasing free downloadable content (DLC) to players for the countless bugs and glitches in the game. A "target gameplay" video (which has not made public) was also included with the leak and gave us a short detailed preview of what the game has to offer: The game starts off with an assassin lurking around the buildings of 19th century London. The masked crusader leaps down onto the street and enters a nearby horse carriage. He is greeted by a mysterious woman who gives the man a quest, the death of Roderick Bulmer. The carriage is ambushed after the task is given and the assassin flees the carriage killing some enemies on the outside. The character arrives at a railway station and goes undercover in the crowd by swapping his hood for a top hat. Bulmer is spotted in the middle of a crowd near the trains, the assassin uses a new device, the grappling hook which he uses to swing over to the target and stab him in the chest. After the mission is completed, the assassin jumps onto a moving train where the camera fades away and reveals the game's logo. Although a visual presentation was not present, gamers are convinced that the news is thought to be legitimate as the same source has revealed details prior to the release of other Assassin's Creed games. Another topic that seems to be questioned about the upcoming title are the main developers which will have the lead for next year's Assassin's Creed. Since 2007, Ubisoft Montreal has been releasing the Assassin's Creed titles we've all grown to love. It'll be interesting to see what Ubisoft Quebec has to offer for us next year since this is the first time in the franchise to have a different studio work on a major game. This move was foreshadowed earlier this year when Ubisoft released a blog informing that Ubisoft Quebec would be working on a future Assassin's Creed title. However, there is still hope as Ubisoft Quebec is not a complete stranger to the franchise, the studio is responsible for releasing DLC for Assassin's Creed III (The Tyranny of King Washington) and Assassin's Creed IV (Freedom Cry). Although a visual format has not yet been released or leaked, the vivid description of the gameplay gives us a clear image of what Quebec is trying to get out and seems like a good title to look out for based solely on the description. I'm mostly excited about the setting in which it takes place since many famous serial killers have been around in that time period, most notably the mysterious Jack the Ripper. We can expect more information to be unveiled as the months progress into next year, we can also expect a trailer as we nearby June perhaps at the next Electronic Entertainment Expo (E3). 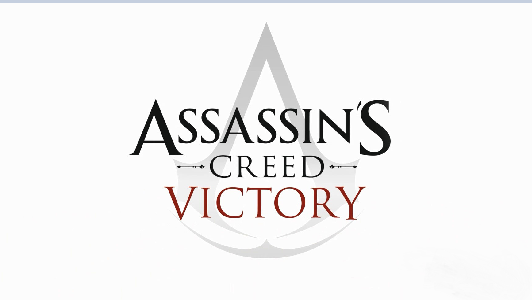 Assassin's Creed Victory is scheduled to release in the fall of 2015 and will be out for the Xbox One, PS4, and PC. Special thanks to nycfinest718 for sparking the idea.